I’m here today with a new post for the Crafts-U-Love Design Team. This month, all DT members were sent the same Julie Hickey Designs set – ‘Garden Treasures’ – isn’t is fabulous? When Caz told me that we would be receiving a JH floral set I was really hoping it would be this set! It is so versatile! I decided to make a CAS ‘hidden sentiment’ card using just one stamp from this set. 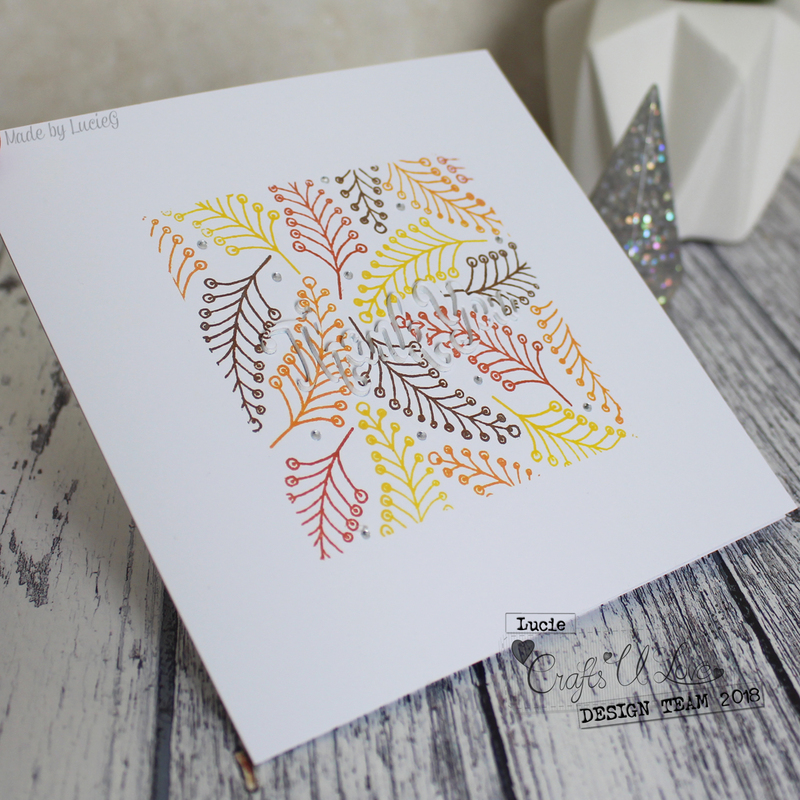 This week’s Color Throwdown challenge has a fabulous colour combo (orange, brown, rust and yellow) which I felt would be perfect for an Autumn Thank You card. I masked off part of the card to create a square to stamp the images, chose a stamp and got to work! Once I had finished, I die cut a ‘Thank You’ sentiment from the centre of my panel. This is always so nerve-wracking – I hate cutting into an image that I’ve created… but I love the effect of a hidden sentiment so I held my breath and cut! I removed the die cut sentiment and stuck the panel to a card base. I then cut the sentiment from a piece of funky foam and adhered the two die cut sentiments together to create a dimensional sentiment – you could also use a could of layers of card if you don’t have any funky foam. I inserted the sentiment into the space on the base card and voila! A hidden sentiment card! To finish off my card, I added a few gems – got to have a bit of sparkle of course! 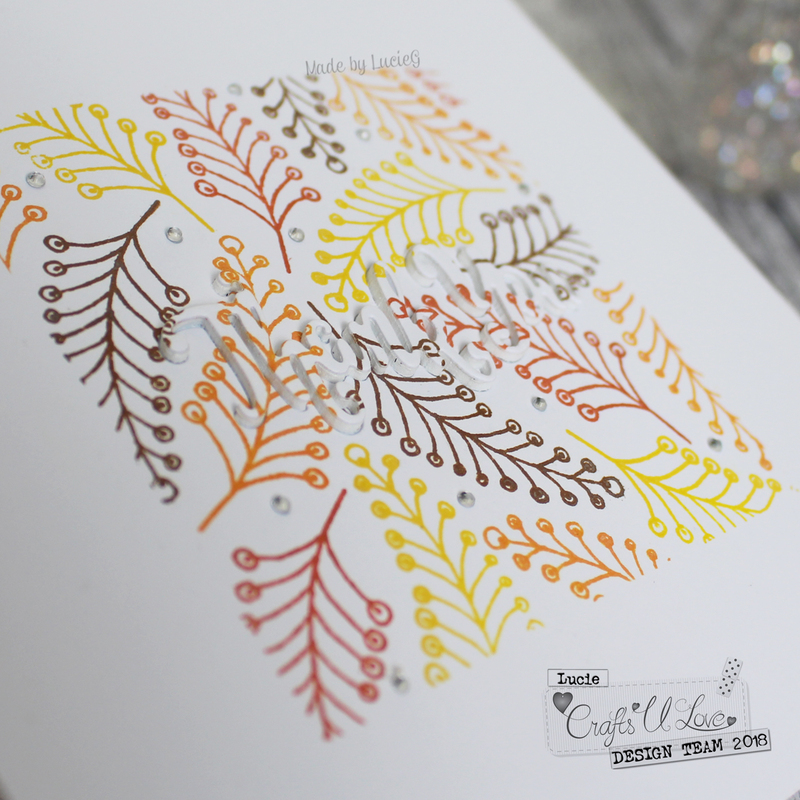 I’m also entering this card into the current Color Throwdown challenge. Right! I’m off to see what my teammates have come up with using the same set!